BOTOX® Cosmetic is a non-surgical treatment used to temporarily improve the look of moderate-to-severe frown lines between the brows, as well as crow’s feet, worry lines, and laugh lines. This is a revolutionary approach to reversing the effects of facial wrinkles. How common is the BOTOX® Cosmetic procedure? Almost 12 million BOTOX® Cosmetic procedures have been administered in the United States since it was FDA-approved in 2002. BOTOX® Cosmetic works by blocking nerve impulses in the injected muscles, reducing the muscle activity that causes moderate to severe lines to form on the face. What can I expect during a BOTOX® Cosmetic procedure? There is minimal discomfort during the injections. 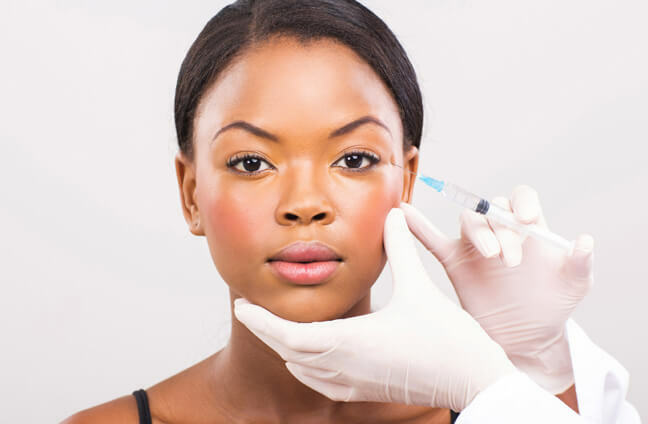 Our BOTOX® doctors at Staten Island Oral & Maxillofacial Surgery can numb the area with a cold pack or anesthetic cream prior to the injections if necessary. The procedure typically takes about 10 minutes. What can I expect after receiving a BOTOX® Cosmetic treatment? Some patients experience localized pain, tenderness, swelling, redness, and/or bleeding/bruising at the injection sites following the procedure. These side effects usually only last several hours and can be managed with ice packs and over-the-counter pain relief medications. After the treatment, you’ll see noticeable results with no surgery or recovery time. The lines will continue to improve for up to 30 days, with results lasting up to 4 months. Most patients need 2-3 treatments per year to maintain the results. How can I find out more about BOTOX® Cosmetic? For more information on BOTOX® Cosmetic injections, please contact Staten Island Oral & Maxillofacial Surgery to schedule an appointment with oral and maxillofacial surgeons David Hoffman, D.D.S., F.A.C.S., Lydia J. Lam, D.D.S., Steve Yusupov, D.D.S., M.D., and Mark Stein, D.D.S., M.D. at 718.226.1251.